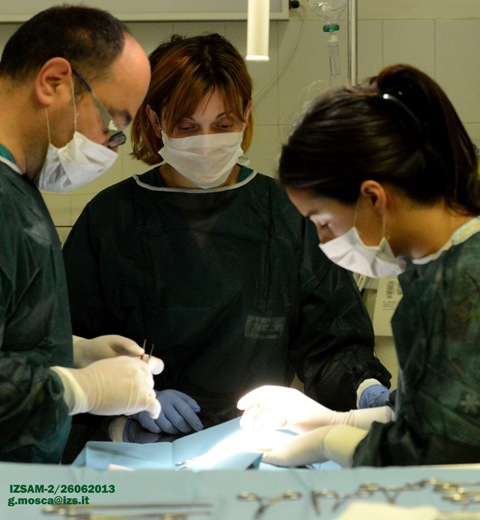 The Istituto Zooprofilattico Sperimentale dell'Abruzzo e del Molise 'G. Caporale', in the framework of the international cooperation activities carried out as OIE Collaborating Centre for Veterinary Training, Epidemiology, Food Safety and Animal Welfare, hosted between the 3rd and the 29th of June dr. María Isabel Danilla Enei, veterinarian from Chile, for a training period on animal welfare. 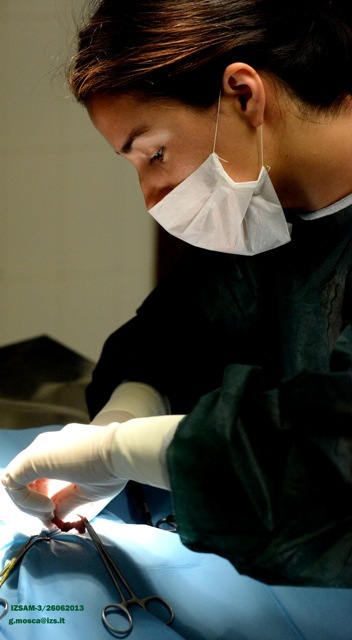 Dr. Danilla works in a veterinary Clinique for pet animals and is involved in an no-profit organization for animal rights and stray dog population management. In Chile, stray dogs are a constant issue and are difficult to handle: only in the capital, Santiago del Chile, esteems are of around 300.000 free-roaming dogs in the streets, being a social and public health risk. Dr. Danilla became aware of the Institute work during a dissemination event were results of a project on dog population management were presented in Puerto Natales, in the Chilean Patagonia. The 24 months project, named 'Patagonia Express Project' and recently concluded, was coordinated by the Istituto Zooprofilattico Sperimentale dell'Abruzzo e del Molise 'G. Caporale' and carried out with the collaboration of the chilenian Ministry of Agriculture, the organization Veterinary without Borders (Canada) and the Univerity of Pennsylvania (USA). 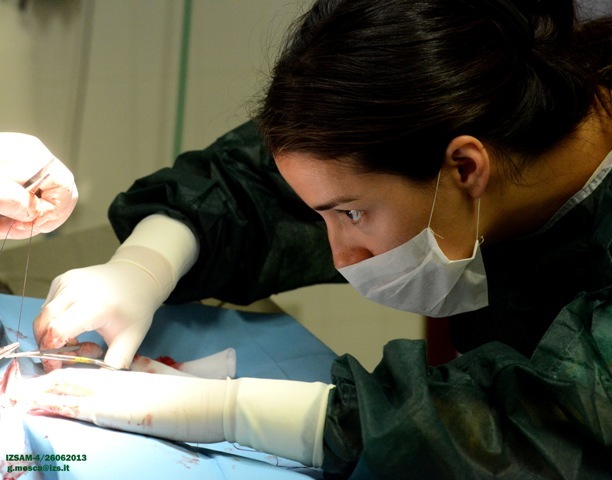 Aim of the project, was the evaluation of the behavioural variations in young and adult male dogs after surgical and chemical castration. More precisely, it was evaluated if male castration would inhibit aggressive and roaming behaviours, and if it would reduce the negative impact that free-roaming dogs in the streets have on public health. Within the project, citizens awareness programs at local level were developed promoting sterilization as the main responsibility for dog owners. 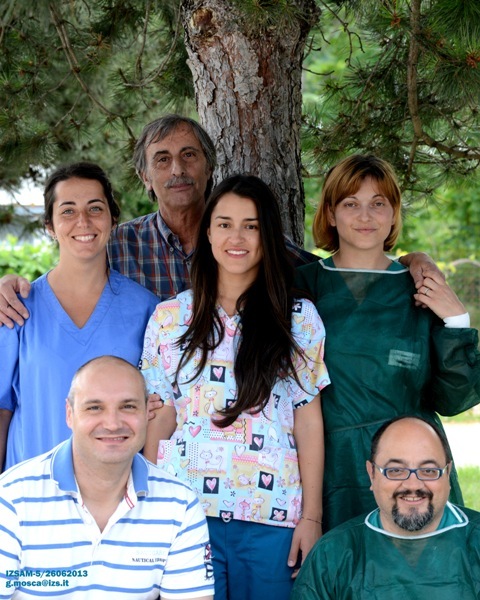 During her visit, dr. Danilla was involved in the activities of the Human-Animal Relationship and Animal Welfare Laboratory, with special attention to the study of new tools for dog population management and control, developed by the Institute, and of the animal welfare assessment methods in field.